If you’ve visited northern Tasmania, you may have been on a guided tour of one of the show caves: Marakoopa, King Solomons or Gunns Plains Caves. These are highly decorated caves with infrastructure to enable anyone to venture into the special underground environment without any special equipment. But there are hundreds more caves in Tasmania, many deeper, muddier, harder, and prettier than the show caves. If you want to learn the techniques to cave safely in the wild caves, or if you are already experienced, then our club could be for you! We conduct trips to the local Mole Creek area on weekends more frequently in summer when there is less water underground. The normal underground temperature of 9℃ means we rug up and keep moving. Typically caving involves getting very dirty and quite wet, and sometimes squeezing yourself through tight passages resulting in bruises in funny spots. Also at Mole Creek, there are some caves that involve quite a hike, abseiling or laddering to get down them, and then ascending back up to the surface. Your effort is always rewarded by the uniqueness of the cave environment and the sight of beautiful shawls, stalagmites and stalactites, helictites, rimstone pools, crystal-covered flowstones large and small, water worn passages eroded into fantastical shapes, surprises around every corner. There is also the distinct possibility of going somewhere no one has been before, when you discover a new cave or passage. Northern Caverneers is a medium-sized club with members mainly from northern Tasmania, who cave mostly in the Mole Creek area, one hour west of Launceston. This is a large area with nearly 500 known caves, and includes some of Australia’s best-known and most beautifully decorated cave systems. Some of these are in the Mole Creek Karst National Park, while others are on private lands. Permission to visit certain gated National Park caves can only be granted to cavers who are members of an ASF club such as the Northern Caverneers. 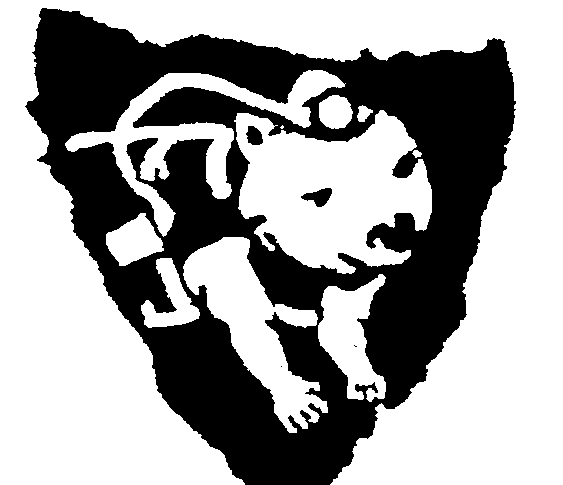 The ASF (Australian Speleological Federation) is the national body of caving clubs which abides by certain codes of conduct and practises minimal impact caving to help conserve the cave environment for future generations. However, our members do not only cave at Mole Creek and many of us have been caving in southern Tasmania’s Junee-Florentine, Exit Cave at Ida Bay, as well as other areas of Australia and overseas. Once you’re a member of a club, you can always find someone to cave with wherever there are caves. National and international conferences provide opportunities to meet cavers from other areas, and attendees are often hosted in other caving areas. Members of our club are interested in many different aspects of speleology (the study of caves) including geology/geomorphology, fauna, history, photography, surveying, search and rescue, and expeditions to explore new caves. You don’t need to own all your own gear initially as the club has some equipment for loan. You don’t need to be an expert caver, just keen to go exploring and learn about what’s underground. Join us for a safe and enjoyable experience in some of these beautiful places. NC Inc holds its monthly meeting on the first Monday of the month (except it’s on the second Monday if the first is a public holiday, and occasionally we have a bbq or slide night at a member’s house). It is normally at Morty’s Food Hall in Launceston’s CBD at 6pm-7.30pm where we eat dinner and chat. Please check before turning up.